Cairn University has teamed with the LIFT program to offer 15 credits to any student (from Cairn or another college) who attends two semesters of LIFT. These credits are transferrable to other colleges. Houghton College offers their students 12 credits for either semester. Along with the LIFT program and one additional course at Houghton College, students are able to complete a minor in Leadership. LIFT also has an agreement with Nyack College to offer credit for one or two semesters of LIFT to Nyack students, earning 12 credit hours per semester, totaling 24 credits. The semesters can be taken in either order because they are both standalone semesters. Roberts Wesleyan College offers 11 credits for the fall semester of LIFT and 9 credits for the spring semester of LIFT to Roberts Wesleyan students for a total of 20 credits, no matter which order the LIFT semesters are taken. Students all enter the program with a desire to learn more about God's Word and how to become better followers of Christ. We offer a well-rounded curriculum, taught by LIFT Director Tim Trezise, M.S., LIFT Associate Director Tyler Nelson, Th.M., and Kate Trezise, Ph.D. Students are assigned reading materials, light research, short presentations, group projects, and writing assignments to aid in their learning and retention of subjects studied. While a LIFT semester involves many activities other than classes, students are given specific time periods in which they are able to complete all assignments. We offer two different class cycles, one in the fall and one in the spring. Both semesters stand alone, which makes it possible for a LIFTer to do one semester or both and to begin with either semester. In the midst of the beautiful Adirondack wilderness LIFT students will engage in experiential learning through Leadership Training I. 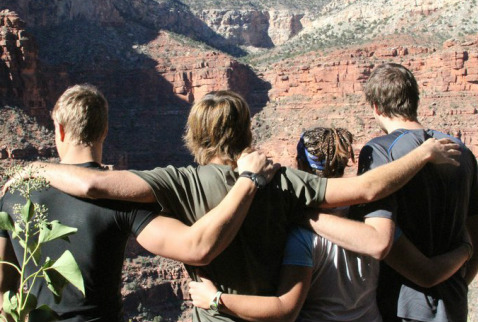 Through practical experiences and outdoor excursions we apply key principles of the biblical faith. 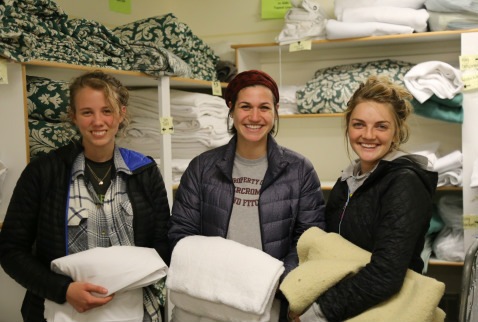 The students also learn how to lead through service at CAMP-of-the-WOODS. In Bible and Theology, students are taught the story of the Bible from the beginning to the end and how it impacts our culture today, providing them with a view of scripture that is holistic and continuous. God's involvement in the lives of His people is clearly seen throughout the entire Bible and leads directly into His personal relationship with each of His children even now. Everyone has wrestled with the issue of how to live like Christ and live as a part of society at the same time. This class is designed to equip young, Christian leaders with an overall Christian worldview. We learn to engage our culture for Christ by studying worldview and how the biblical story continues through our generation. We also strive to gain a better grasp of our own Christian culture, learning key theological concepts (such as the Trinity and the nature of the gospel) and where we ourselves have come from with a module on church history. Spiritual Transformation I is one of our most exciting classes and is much more about experiential learning than it is absorbing content. We actually put the Christian walk into practice. We study a wide variety of Christian disciplines, including fasting, prayer, solitude, thanksgiving, celebration, Bible memory (Sermon on the Mount, James, Philippians, Colossians, etc. ), and more. We will use the Scripture being memorized as a template for our Bible study methods. Every semester students comment that this is one of the most fulfilling classes they have ever experienced. Christianity as many of us know it has come into existence through centuries of Christian history. In Historical Theology we interact with the giants of Christianity past in order to have a better footing in the future. Some of the authors we study are Athanasius, Augustine, John Calvin, and Jonathan Edwards. Through this line of study students become better informed believers, no longer missing out on the rich history that is theirs through shared beliefs, and able to learn from the mistakes of history as well as the triumphs. We believe the gospel compels us to love the world around us. Holistic Ministry embraces a holistic understanding of the gospel, studying how, through the Holy Spirit, communities can be transformed for Christ. Our desire is to minister to the world both spiritually and physically, to both proclaim and demonstrate the gospel. 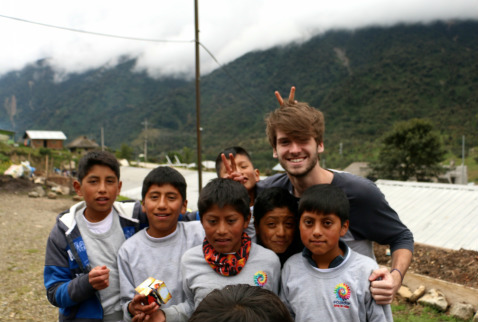 Missions through the perspective of community development is a core theme of this class. We offer Spiritual Transformation II in the spring semester. Once again, the focus is on the practice and the living out of the Christian walk. 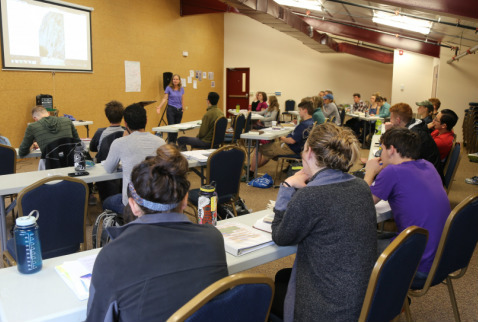 Different practices are studied from semester to semester, ensuring that each spiritual transformation course offers fresh material and experiences. Leadership Training II is dedicated to the understanding that we are not called to be leaders who also happen to be Christians, but to be Christian leaders. We plumb the Bible for leadership lessons as we observe key characters in the text. Then we apply the principles of our studies through outdoor adventures in the Adirondacks. LIFT classes also include studies of calling, culture, community, and other topics relevant to the Christian walk. Guest teachers provide an excellent addition to each semester's curriculum, focusing on important issues in which they are experts. 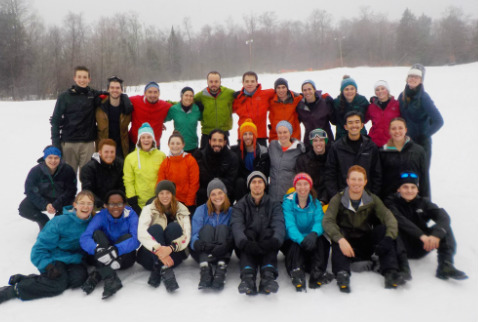 What happens when 30 students come together for a semester of intense learning? What happens when they live together, eat together, work together, learn together, and are challenged together? They grow together as a community! This is one of the key features of our unique program and one of the aspects that brings the most true transformation in the life of each student. Not only do they share good times, but LIFT students learn to be there for each other in the hard times - struggles at home, difficult news, and especially the revelation and conviction of areas in each life that need to change. When students make the effort to be open and vulnerable with each other and commit to building real relationships, it's amazing to see how God uses the LIFT community to effect incredible change in the lives of each one. A major part of LIFT is the involvement we have in many different outreach projects both locally and regionally. This involvement includes at the church in town for junior and senior high schoolers and a library program for kids. Many of these kids come from unchurched families, so this is one of their only chances to meet, learn from, and be loved by godly men and women. LIFT students experience the joy of being involved in planting seeds in little souls, trusting God to continue working in each of them. 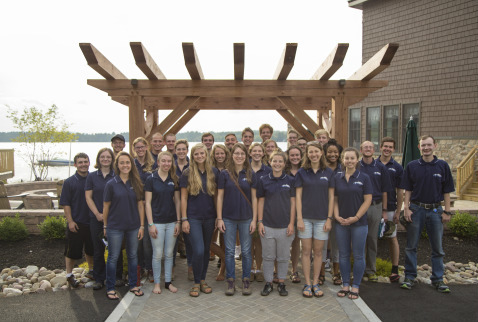 Each semester brings other opportunities for involvement, including work on the beautiful Sacadaga River Walk, cleaning up the adopted stretch of highway, clearing ski trails at Oak Mountain, and even providing assistance chopping wood or with spring cleaning for local widows. God uses each of these experiences to continue to teach lessons about service and truly loving our neighbors as we work hard for His glory. During the months from September to May, CAMP-of-the-WOODS' facilities are used by many different groups from churches and parachurch organizations for conferences and retreats. LIFT students get firsthand experience and training in becoming "servant leaders" through hours spent each weekend serving these conference guests. Tasks including housekeeping, food service, and maintenance keep the students busy and provide them with ample opportunities for developing patience and humility. Students who are accustomed to being in leadership positions, often up on stage leading worship or speaking, find these weekends particularly challenging. Rather than getting recognized and appreciated, much of the dish washing and bathroom cleaning goes unnoticed. God uses these times to help LIFT students realize what true service is and what a humble, Christ-like attitude looks like. LIFT students get one day off each week. 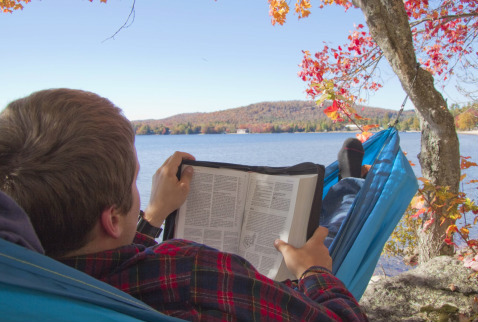 Due to the students serving guests on weekend conferences, their time for Sabbath rest usually comes later during the week, many times on Thursdays. A few times during the semester they may also get Sundays off. Whichever day ends up being their Sabbath rest is meant for getting refreshed spiritually, renewed physically and emotionally, and resting from work. Students may do this differently, but it is encouraged that they focus on resting "in the presence of God." Some spend time simply resting alone, reading, hanging out with fellow students, or taking the occasional trip (an hour drive each way!) into "town" for shopping, dinner, or catching a movie. The Adirondacks afford ample opportunities for outdoor recreation on days off, including kayaking, mountain biking, hiking, canoeing, snowshoeing, skiing, skating, snowboarding, running, and photography. With most other days of the week being filled with classes, homework, and activities, these days off are important in the maintenance of a healthy balance of work and rest. LIFT students are given time each week to catch up on their assigned reading and to just be alone with God. Journaling is an important element of a LIFT semester, as God teaches each student so many things through the various experiences that are part of their time here. Time spent in reflection helps students to recognize what they are learning and the areas in which they are growing and being challenged. Given the nature of our surroundings in the beautiful Adirondack Mountains, some of this time is spent in the midst of a nearby forest or near a meandering stream. The Adirondack Park is larger than Yellowstone, Yosemite, Glacier, the Grand Canyon, and Great Smokies combined. The Adirondack Park contains 85% of all wilderness in the eastern United States. It is the largest wilderness area east of the Mississippi. The Adirondack Park has over 2,000 miles of hiking trails. These trails make up the largest trail system in the nation. Within the park are over 3,000 lakes and ponds and more than 1,200 miles of rivers fed by an estimated 30,000 miles of brooks and streams. The word "vacation" was invented in the Adirondacks. In the early 1900's people in the cities were beginning to realize that summer heat and deadly fevers went hand in hand. The upper class did not spend the summer in the city waiting for a fever. They vacated the city for the fresh clean air of the Adirondacks. The term "vacating" or evacuating is the reason Americans take "vacations" instead of a British "holiday." Hamilton County, where LIFT is centrally located, is the third largest county in the state but has no stoplights. You could say CAMP-of-the-WOODS is fairly secluded, as it is surrounded by numerous trails, mountains, cliffs, lakes, and rivers. LIFT students explore God's wonderful creation every week either in a canoe, high up on the end of a rope on the face of a cliff, crashing through pounding rapids in a raft, or on the trail (snowshoes and cross-country skis provided when necessary). These include strenuous hikes up several mountain peaks, ranging from four to fifteen miles, often crossing beautiful streams and along serene lakes. During the semester, much time is spent in the High Peaks region, conquering five or more of the 46 highest mountains in the state. 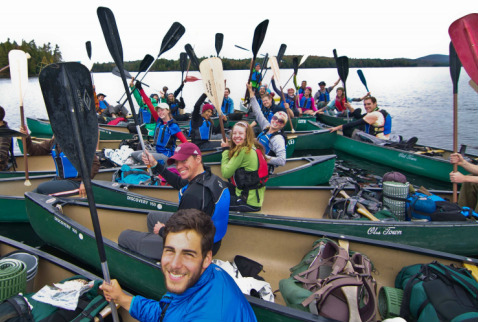 Each LIFT semester also includes at least one extended (3-4 day) wilderness canoe or backpacking trip. Good fitness is important with the demands of carrying packs that weigh more than 35 pounds and carrying and paddling canoes. For many students, this is out of their element. Even those who enjoy the outdoors tend to be stretched at times. 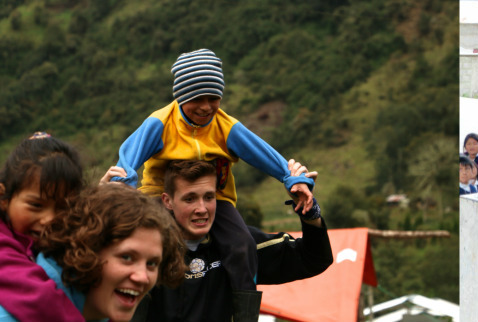 God has carried every participant through these trips each semester and taught them important lessons in the process. 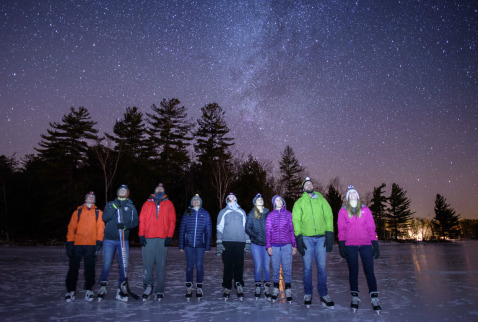 During the winter semester, students have the privilege of renting a heated cabin in the High Peaks region for their multi-day trip. This allows them still to experience life in the wilderness for a few days, while sleeping in a safe and warm environment. They still have the opportunity however to try winter camping in an igloo-like structure they build themselves. It never fails that God uses our time in the outdoors to work incredible changes in the lives of LIFTers. Whether it's learning to have patience and be an encouragement to those who aren't accustomed to hiking, or it's understanding true reliance on God's strength for the completion of a long hike, each student comes away from these times with lessons learned and perspectives changed.